A better, smarter way to transfer vinyl to your computer. The T.92 USB turntable is an excellent way for DJs or serious record collectors to get a vinyl library transferred onto a computer. This professional-quality turntable features a high-torque, direct-drive motor for the ultimate in stability. The T.92 USB has USB and S/PDIF outputs, and comes with music editing software to make archiving massive vinyl record collections onto a Mac or PC an easy process. The software program even gives you the ability to edit and clean up your music files for professional use. The T.92 USB also boasts an S-Shaped tone arm for lower distortion and reduced record wear, built-in DSP with keylock for controlling tempo without affecting pitch, and many other advanced features. 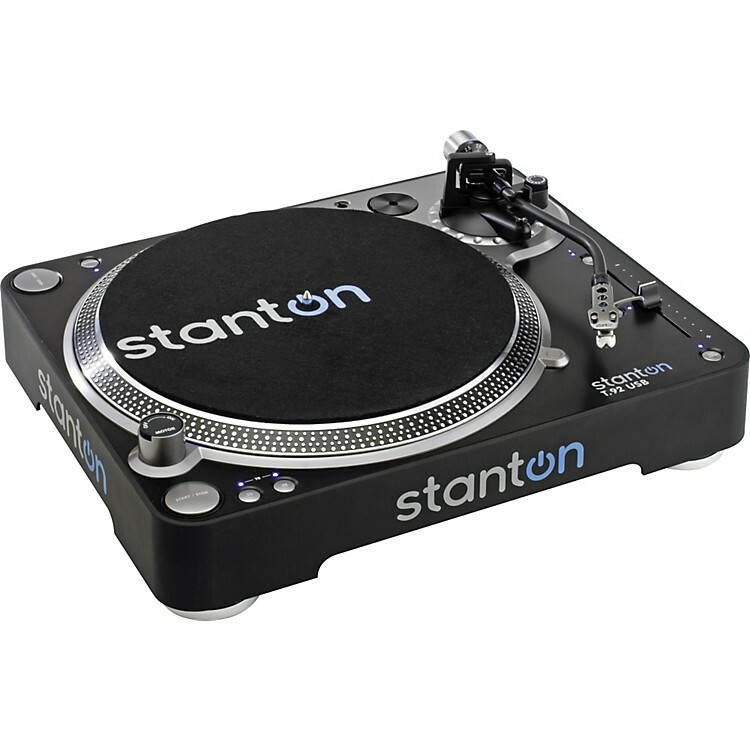 It also comes with the Stanton 500.v3 cartridge for superior audio quality, custom slipmat for added control, and dust cover for protection.